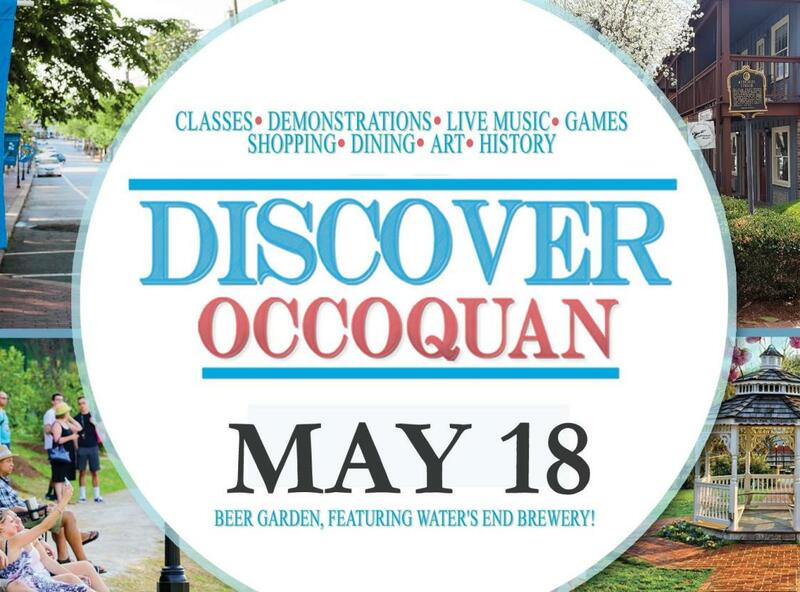 Saturday, May 18, 2019 from 11 a.m. to 8 p.m. in downtown Historic Occoquan! 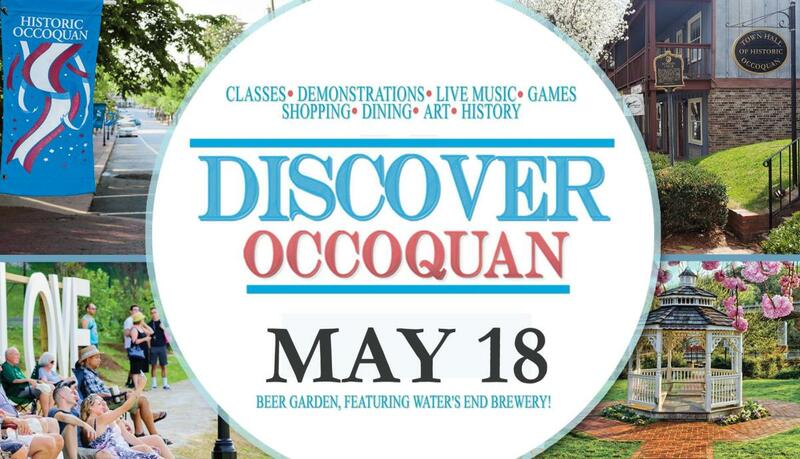 Join us for Discover Occoquan! This event features a full day of free activities for everyone, including interactive classes and free demonstrations hosted by Occoquan businesses, historic tours, a scavenger hunt, a photo booth, live entertainment, and much, much more! The day kicks off at 11 a.m. in the historic district when businesses will be hosting a variety of free drop-in classes including yoga, candle-pouring, fiber arts, painting, and SCUBA. Demonstrations will include jewelry making, art and glass, puzzle making, food preparation with sampling, and more! Art on the Block participants will be showcasing the works of Occoquan's many talented artists. Enjoy light refreshments, meet the artists, watch art demos, and enter to win an Occoquan gift basket. Be sure to stop by Town Hall, at 314 Mill Street for more fun! There, pick up a map of and enter your kids in the Occoquan Kids Council raffle to become a council member for a day—or even the mayor! A full Kids' Council will be drawn at 4 p.m. Throughout the day, the Town will sponsor a Silent Auction, featuring donations by local businesses. Stay for the trivia game from 3 p.m. to 4 p.m. Finally, this fun-filled day will culminate with a Beer Garden in River Mill Park, at 458 Mill Street, from 4 p.m. to 8 p.m., featuring Water’s End Brewery! Musical guests include award-winning Nashville singer-songwriter, Cheley Tackett and local favorite Joe Downer! Tables and chairs will be provided; be sure to stop by one of our restaurants for a to-go meal. Admission is free. Free on-street and public lot parking is available in-town. In addition, off-site parking with shuttle bus service sponsored by Patriot Scuba is available from the Route 123 Commuter lot at the intersection of Old Bridge Road and Gordon Boulevard and drops off at 305 Mill Street. The shuttle service, provided by Earnie Porta’s Occoquan Tourism Company, will collect patrons from the lot on the half hour. The shuttle is free, but donations to the non-profit Patriots for Disabled Divers are appreciated. Watch this space for a growing list of scheduled activities for the day, or go to www.occoquanva.gov/discover-occoquan.html for more information. Come Discover Occoquan! You’ll come to love it here as much as we do.